Now that World Cup qualifiers have come to an end, we get back to Club Football and we have you covered for this weekend with predictions just enough to push you through. 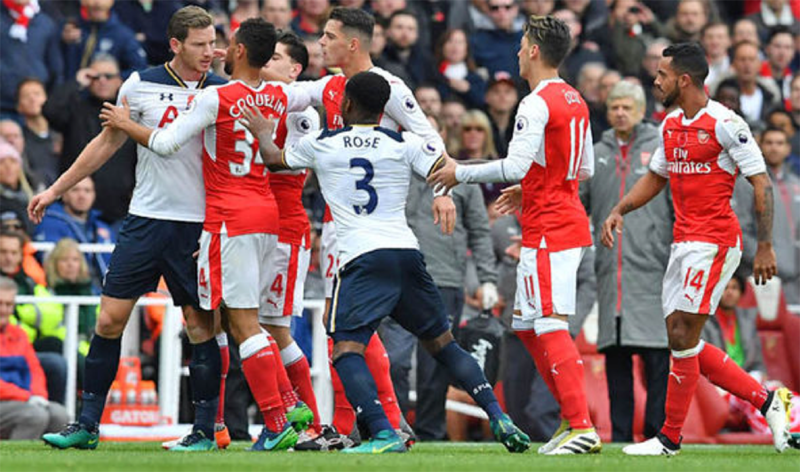 There will be some Interesting matchups; Arsenal and Tottenham in the North London derby, the Madrid derby in Spain, the Rome derby and more games. Arsene Wenger believes his side have what it takes to defeat Tottenham Hotspurs in the Saturday’s early kick-off but that won’t take away the confidence Pochettino’s carry into this match. ‘World Class’ Christian Eriksen returns for the wembley side in fine form after inspiring his National side to the world Cup, and so has Harry Kane who has never failed to score against Arsenal in the league. Arsenal have won 10-consecutive Premier League games at home, but will need more than that stop Spurs’ deadly attack whose character is improving every other day. Arsenal have a solid home record against Spurs and are unbeaten in their last six meetings but have drawn 1-1 for the last three. Having won five of their last six away Premier League games and only falling against Manchester United, expect Spurs to have an improved record away at Arsenal. Here’s a summary of the other Premier league games. The divide at the Bernabeu headlines the Madrid derby as the two poorly performing Madrid sides come face to face in the first round of la liga. Diego Simeone is still struggling to find solutions to problems that have rocked his squad and he is indeed a lucky man to realize ‘Real Madrid have taken all the good kids from all Spanish teams’ just before the derby. 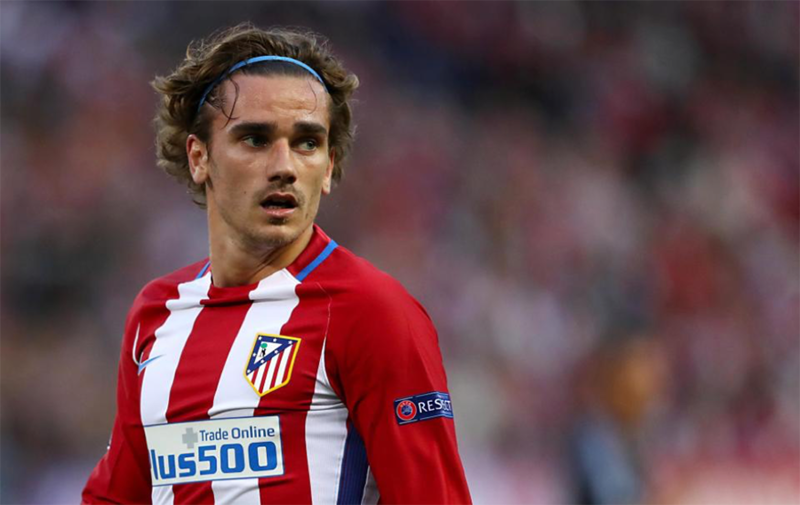 Griezmann still has questions to answer for his woes. Griezmann continues to fire blanks in the League just like Ronaldo on Madrid’s side. The hard to motivate team, Madrid, may get a moment of revival after the return of Dani Carvajal, one player the Club has missed for most of the woes that have come from the basic game of Hakimi. Keylor Navas and Matteo Kovacic may remain sidelined but the availability of Isco and Modric could provide a better kind of motivation past Atletico. 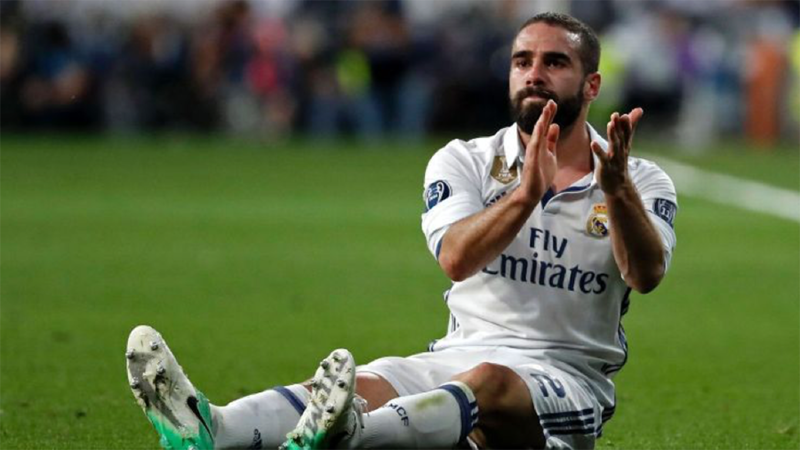 Dani Carvajal returned in time to boost Zidane’s hopes for three-points at the Wanda Metropolitano. Expect Ronaldo to score his second goal of the season. 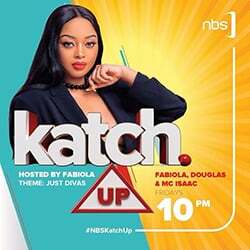 These are personal predictions and Nile Post or the writer will not bear any liabilities in any case.